Reader Pierre is short a few miles for his trip to Athens, Greece in September. He wants to know what his options are. Hello, I am looking to do Montreal-Athens from Sept 11, 2014 to Sept 27, 2014 with my girlfriend. I have 103,000 Aeroplan miles, which is not enough for 2 tickets. I would need to buy one ticket and Aeroplan the other one. I’ve found tickets for around $1050 online. Thanks for the question, Pierre. I’ll do my best to answer you. Let’s just take a second to assess the situation and the goals. First off, let’s look at the Aeroplan award chart. According to this, Athens (Greece) is defined as Europe 2. A roundtrip would cost 75K Aeroplan miles. For 2 passengers, Pierre would need 150K Aeroplan miles. You can read my discussion of stopovers on Aeroplan awards here and here. One of the major concerns when booking Aeroplan award flights is the fuel surcharge. Fuel surcharges are especially prevalent when traveling to Europe. What is important to know is that Aeroplan award flights on certain planes, including Air Canada planes, will carry very high “taxes and fees” due to the fuel surcharge. The best ways to get to Europe, using Air Canada and Lufthansa both carry high fuel surcharges and make them poor candidates for Aeroplan award flights. For trips to Europe, the trick is to get on flights operated by Swiss or United. I arbitrarily chose some dates in June 2014 to test this on. Flying on the default choices that Aeroplan.com suggested had me paying $646 in taxes and fees. Forcing the flights to choose Swiss Air flights reduces the fees from $646 to $188 per person for the same route. I talk about the Aeroplan taxes and fees in my series on Aeroplan basics here. If you are struggling with this portion of your trip, you can use my Award Travel Booking service. As mentioned in Pierre’s message, he is finding revenue flights that he likes for $1050. Let’s assume that is the fair market price for this trip. We can do all of our calculations against that number. The first thought that comes to my head if I am slightly short of miles would be to figure out a way to get those last few miles. Of the suggestions, this is probably the easiest one to do, but not exactly the most efficient. As mentioned above, Pierre needs 75K Aeroplan miles / person or 150K miles total. He currently has 103K miles in his account. That means he would need to generate 47K Aeroplan miles. 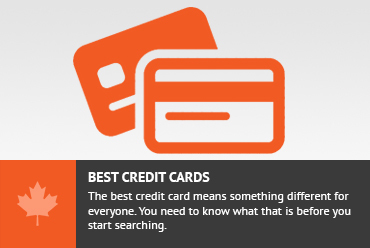 If you are interested in pursuing this route, I suggest reading my series on applying for credit cards for the sign-up bonus. In January, I earned ~$1500 for doing 5 card applications. When you are short miles for a trip, Aeroplan will happily sell you the miles you need. They charge $0.03 / mile + 13% HST. The HST is based on your address on file. I wonder if Aeroplan sees a lot of miles being purchased from people who live in New Hampshire. At that rate, Pierre would be paying $1593 for the Aeroplan miles he needs to top off his account. (47K miles needed * $0.03 * 1.13 HST). I think this is not going to be worthwhile for him. He already stated he can get 1 ticket for $1050 (2 for $2100). Factoring in the value of his 103K Aeroplan miles and the taxes and fees he will have to pay, clearly this is not a good option for Pierre. General spending through Esso gas, Sobeys etc. Pierre could also generate some miles through regular spending at Esso gas, Sobeys and other places that earn miles for purchases. Unfortunately, generating the required mileage would be very difficult through these means. Miles from these methods should be earned, but definitely not relied upon to be sufficient. This would normally be the way to make this work. Unfortunately, it is not the one that I suggest. The main reason is that it would be very difficult to ensure that you can fly together. This method seems like the easiest, but I think that it might actually be the most difficult. Pierre has done the research and found a flight for $1050 that works for him. This is the best rate he was able to find for revenue fares. This could be on any airlines out there, potentially an airline that is not a partner of Aeroplan. If that is the case then he will need another option. So one of the key things is that the cheapest revenue ticket might not even be an option for Aeroplan miles. Let’s say that the flight Pierre found was one on Aeroplan partners (say fully on Air Canada). Even if that were the case, there would still have to be availability for award seats on those flights. Finding award availability is not as easy as it sounds and there is a good amount of taking what you can get. I think it might be tough to match flights that are available for Aeroplan award booking with those that are the cheapest for revenue tickets. Finally, let’s assume that there is award availability on a flight and it is reasonably priced as a revenue ticket. This also limits the ability to get great value from the miles. Some of the great advantages of using miles is the ability to add stopovers or open jaws to get extreme value out of it. Finding a matching routing with the stopovers built in might be very expensive as a revenue ticket. As a result, the award ticket becomes much less valuable than it otherwise could have been. As noted in option 2, it is going to be tough to line up award space with revenue tickets. However, if short of Aeroplan miles, it might not be a bad idea to try to buy miles in another program that gets access to the same inventory as Aeroplan does. The 2 best programs for buying miles tend to be US Airways Dividend miles and Avianca Taca Life Miles. In general, US Airways sells miles for about 2 cents each after taxes quite regularly (They call this a 100% buy miles promotion). About twice each year, they have “share miles” promotions where they sell miles for about 1.2 cents each, with various limits. According to the US Airways award chart, all of Europe is a single zone and flights between North America and Europe are 60K miles + taxes. Doing some simple math, this makes the award ticket $1200 + taxes, if the miles are bought at 2 cents each. It’s as low as $720 + taxes if the miles are bought at 1.2 cents each. US Airways is part of the One World alliance now, while Aeroplan is part of the Star Alliance, so in general they don’t have the same partners. However, they do both partner with Turkish Airlines. If there is award space for 2 on a routing wholly using Turkish Airlines, then 1 passenger can buy the ticket using Aeroplan miles and the other can buy it using US Airways miles. The great thing is that US Airways miles can be put on hold for 3 days while you figure out how to book the Aeroplan award. 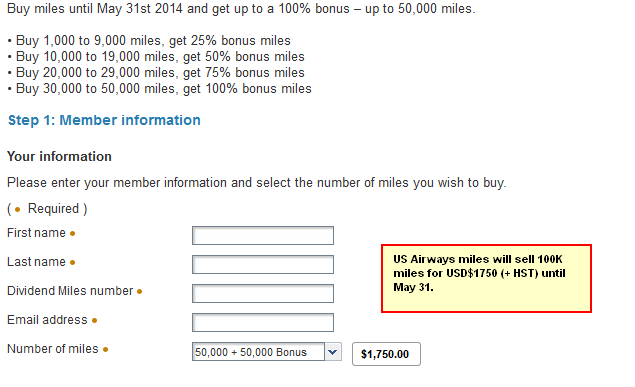 US Airways Dividend miles are priced as roundtrips, with 1 stopover or 1 open jaw included on all awards. US Airways also does not charge fuel surcharges on any award flights. An ideal routing would be for a Toronto-based flyer (unfortunately, this won’t work for a Montreal based flyer) would be one that used the Toronto-Istanbul flight on Turkish Air. Avianca Taca Life Miles are part of the Star Alliance so they can be used to buy pretty much the exact same itineraries that Aeroplan can. This is an ideal type of mile for this purpose. Avianca Taca Life miles do not charge fuel surcharges on any award flights and unfortunately, do not include stopovers on any award flights. According to the Life Miles award chart, it costs 60K miles to go to Europe. Again, all of Europe is considered a single zone here. Life Miles often have promotions where they sell miles for about 1.5 cents each, although they currently are selling them for 1 cent each. They also sell them for as low as 1.3 cents each when you need to top up your account if you are short. Assuming you can get the miles for 1.3 cents each, on average, a trip to Europe would run you $780 + tax. The ideal routing would have a lot of options as almost every award that Aeroplan can book (that doesnt have stopovers) would be doable buy Life Miles. If this the route you are considering taking, I suggest putting the stopovers from your Aeroplan award in North America (as I suggested above) so matching those flights is less important. This is the direction I think Pierre should go. As it stands, Pierre is interested in going from North America (Montreal) to Greece. As mentioned earlier, that would be classified as a North America to Europe 2 ticket that would cost 75 Aeroplan miles per person. What I would suggest is that Pierre recognize that Athens is very close to many cities that would be classified as Europe 1, according to Aeroplan, and thus would be only 60K roundtrip to get to. Pierre could search for cities that have cheap flights to Athens and just buy that last ticket with cash. This way, he only needs to generate a few more miles. I did a quick search for roundtrip flights to Athens from various cities in Southern Europe. I found that that Rome and Milan both had cheap fares to Athens (<$200 roundtrip), and both happen to be in the Europe 1 zone. 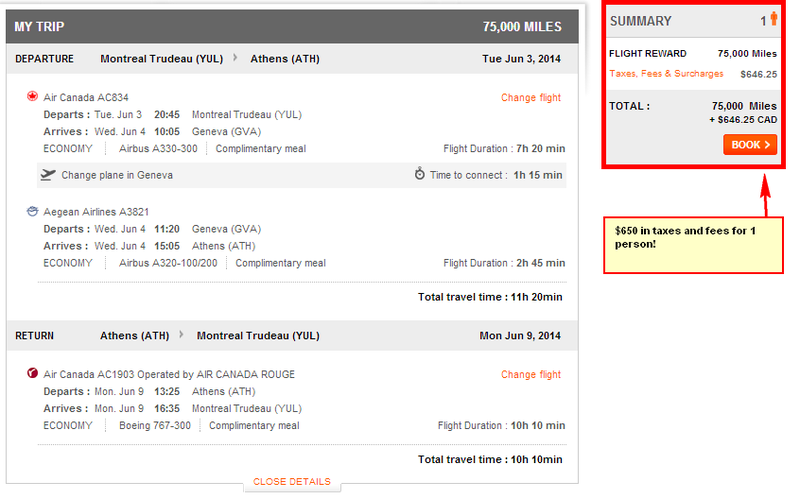 A Montreal-Rome roundtrip award would cost 60K Aeroplan miles each, or 120K for the pair. At this point, Pierre’s 103K Aeroplan miles would be only 17K short of this trip. He could generate these through a credit card application or some other means. He could then buy the ticket from Rome to Athens for only $150 roundtrip and save himself the inconvenience of generating so many more miles. Using Rome would be great for Pierre as it would give him a free stopover at no additional cost. He would also likely have more options to fly, thus more reasonable award flight options, due to the increased traffic from North America to Rome. Pierre has 103K Aeroplan miles and wants to go to Athens with his girlfirend in 4 months. I suggest a few strategies to help him get there. My final suggestion would be to book the flight to Rome (in the Europe 1 zone) using 60K miles / person. Then book a separate flight from Rome to Athens for $150. Don't subscribe All Replies to my comments Notify me of followup comments via e-mail. You can also <a href='https://www.creditwalk.ca/comment-subscriptions/?srp=2894&srk=2648578ecea05c83754707575dc5a494&sra=s&srsrc=f'>subscribe</a> without commenting.